Philip A Sharp’s research interests have centered on the molecular biology of gene expression relevant to cancer and the mechanisms of RNA splicing. His landmark work in 1977 provided the first indications of “discontinuous genes” in mammalian cells. The discovery fundamentally changed scientists’ understanding of gene structure and earned Dr Sharp the 1993 Nobel Prize in Physiology or Medicine. Dr Sharp is Institute Professor at the Massachusetts Institute of Technology and member of the Department of Biology and the Koch Institute for Integrative Cancer Research. He joined the Center for Cancer Research (now the Koch Institute) in 1974 and served as its director for six years, from 1985 to 1991, before taking over as head of the Department of Biology, a position he held for the next eight years. In 2000-2004, he was founding director of the McGovern Institute. Dr Sharp has authored over 400 papers. He is an elected member of the National Academy of Sciences, the Institute of Medicine, the American Academy of Arts and Sciences, the American Philosophical Society, and the Royal Society, UK. Among his many awards are the Gairdner Foundation International Award, the Lasker Basic Medical Research Award and the National Medal of Science. 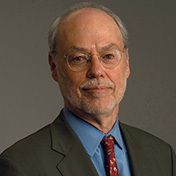 His long list of service includes the presidency of the AAAS (2013) and Chair of the Scientific Advisory Committee, SU2C Project, AACR. A native of Kentucky, Dr Sharp earned a BA degree from Union College, Barbourville, KY, and a PhD in chemistry from the University of Illinois, Champaign-Urbana. He is a co-founder of Biogen (now Biogen Idec) and Alnylam Pharmaceuticals Inc.